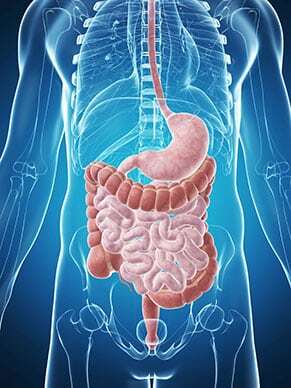 Inside your intestines live billions of bacteria and other microorganisms. These are not parasites, but rather an important part of your body and your health. New research has found that these microorganisms are integral in disease prevention, emotional health and other areas. However, we live in a world filled with antibiotics and antimicrobials that may be affecting the important functions of our digestive system's "good" bacteria. While we usually associate bacteria with infections and illness, not all bacteria are bad for our health. Our digestive tract is filled with a variety of bacteria that play many roles in maintaining health. For example, there are certain vitamins that we can only absorb after they have been broken down by bacteria. In addition, maintaining ideal levels of beneficial flora in our digestive tract keeps our immune system healthy and protects us from deadly infections. Researchers are beginning to discover more about the microorganisms that inhabit our digestive tract, which are known collectively as our microbiome. Every person has a slightly different microbiome, although there are several organisms such as Bacteroides that are common to most people. Not only does our microbiome include thousands of species of bacteria, viruses and archaeans, but these organisms are incredibly diverse even within their own species. We are only just beginning to discover the integral role that our microbiome plays in our health. New research suggests that the benefits of gut bacteria extend far beyond the digestive tract. The bacteria in our intestines play an important role in regulating both our brains and our immune system. Proteins made by these microscopic organisms have a variety of beneficial effects on our bodies, including releasing proteins that have been found to prevent cancer and other serious diseases. There are new studies almost every week proclaiming a new and previously unknown function of our microbiome. What Happens When You Lose Your Microbiome? Most people in the modern world have taken antibiotics. Although antibiotics can save lives, they also compromise our microbiome, killing off good bacteria along with the dangerous bacterial invaders. Some researchers believe that this lack of healthy good bacteria in much of the population may be one cause for the recent increase in metabolic syndrome, obesity, and certain types of cancer. In addition, the presence of good bacteria in our intestines crowds out bad bacteria and makes it hard for them to cause a true infection. Certain pathogenic bacteria, such as c. difficile, have caused deadly infections after people took broad spectrum antibiotics that killed other beneficial organisms in their microbiome that were helping to keep the pathogens at bay. Maintaining a healthy range of good bacteria in your gut is essential to good health in a variety of ways. However, our world is so filled with antibacterial products that this can be a challenge. One way to encourage a healthy microbiome is to take a supplement that includes both prebiotics and probiotics. Probiotics are the good bacteria that provide key health benefits, while prebiotics contain the fiber and other compounds that these good bacteria need to live and thrive. Taking a combination of prebiotics and probiotics can encourage your microbiome to flourish with a variety of bacteria that support good health. Our modern world is very different from the one that we evolved in, creating health challenges that we have never known. While we no longer live in fear of dying from infectious disease, we now face an entirely new set of diseases to fear. Taking a supplement that includes both prebiotics and probiotics is one way to keep your body healthy and strong.